Many parts of the world experience harsh winters, which means these regions are sometimes challenged when it comes to maintaining beautiful flowers. 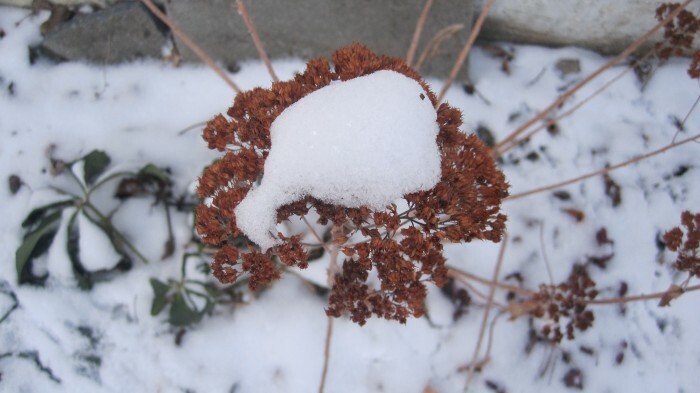 But, despite frigid temperatures, and snowfall that can completely cover the land, there are some perennials that manage to survive and thrive. Depending on where you live, you might be able to get away with planting the following perennial flowers in your garden. While you may not see blooms during winter, don’t give up on these plants! They’re likely lying dormant for the winter, and they’ll soon burst to life during spring. Like people, flowers often prefer to lay low and holed up during extreme weather. Sedum is a hardy creeper that makes a beautiful ground cover. It also looks lovely as a colorful tall back flower in a thick garden. Sedum are rough plants that can take a licking, which means they make it through challenging winters and scorching summers (this season is actually when they’ll bloom). Sedum is ideal for those who don’t like to water, can’t water, or forget to water their plants. It’s notable for its dark green leaves with pretty red edges. Peonies are gorgeous flowers that are known for popping up during spring. In fact, many a gardener has relied on this bloom to be a front-runner in the colorful spring garden. During winter, your peonies will be sleeping soundly and preparing for a burst of color during springtime. Plan for their arrival or simply forget about them. It doesn’t matter, because these bright and fragrant blossoms are coming (if planted any time during the year) regardless. Wait until you see their display! Coneflower, also known as Echinacea, is a flower native to the Americas and it’s one that can easily withstand cold winters. Coneflowers develop daisy-like heads of purple and pink, and they make themselves seen during summer and fall. Sometimes, you’ll be able to find newer varietals of coneflower to plant that have white, yellow, and even orange petals. Enjoy these blooms during warm-weather months. Other perennials that can withstand freezing winter temperatures include monarda, wild columbine, and coralbells. Many parts of the world experience harsh winters, which means these regions are sometimes challenged when it comes to maintaining beautiful flowers. But, despite frigid temperatures, and snowfall that can completely cover the land, there are some perennials that manage to survive and thrive.Depending on where you live, you might be able to get away with planting the following perennial flowers in your garden. While you may not see blooms during winter, don’t give up on these plants! They’re likely lying dormant for the winter, and they’ll soon burst to life during spring. Like people, flowers often prefer to lay low and holed up during extreme weather.